The 2018 LEAF has a range of 150 miles. 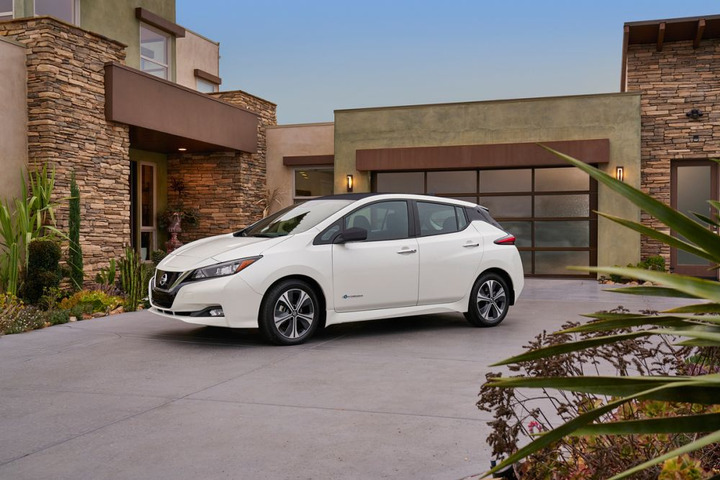 Nissan is providing a $3,000 rebate to Washington state employees for the purchase of a 2018 Nissan Leaf battery-electric vehicle, Governor Jay Inslee reported. This will help with the governor’s goal of having 50,000 electric vehicles on the road by 2020. The rebate can be combined with federal incentives to provide state employees with as much as $10,500 of the price of a new Leaf. The discount program begins Oct. 1 and ends Jan. 2, 2019. The starting MSRP of the Leaf is $29,990. The battery-electric vehicle has a range of 150 miles. Its e-powertrain is rated at 147 hp and 236 lb.-ft. of torque. Inslee recently announced that 50% of all new passenger vehicles in the state fleet will be electric by 2020, and he is working with partners to expand the state’s network of high-speed charging stations.